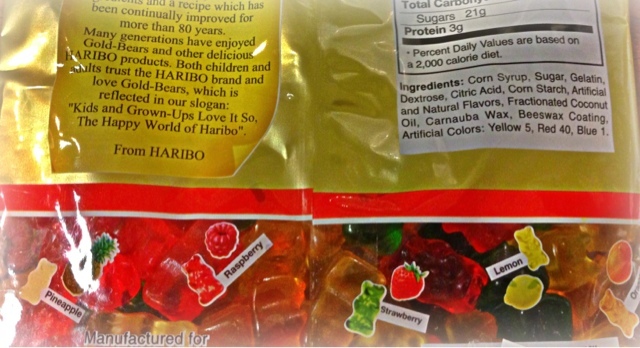 The Green Gummy Bear is Strawberry… I had no idea! I was sitting here today eating my bag of gummy bears, the same Haribo Original ones that I have been eating all of my life, and when I turned it around I discovered something that I never knew… The green gummy bears are Strawberry! How did I not know this?! I guess I never paid any attention before. Was I the only one that didn’t know that the green was Strawberry? This may not be the most exciting post but I strongly felt the need to share this mind-blowing information with you hahaha! First – that is good to know, I may try to the green ones now!!! Second – I'm a new follower from Harvest blog hop, hope you follow back!